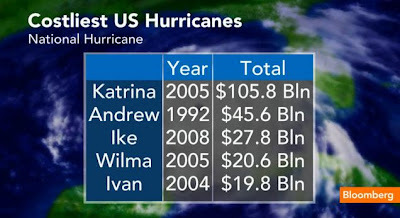 Natural disasters have always led to massive economic damages. 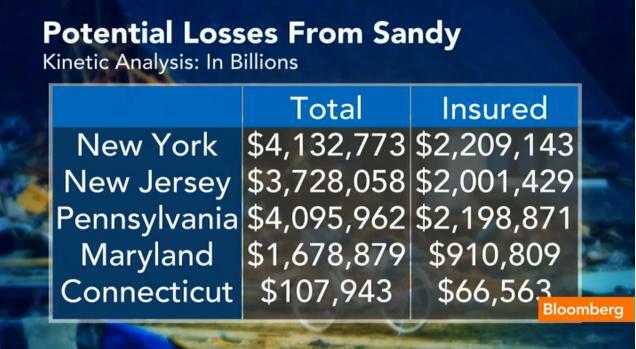 Here are some estimations mentioned on Bloomberg Television’s "Bloomberg Surveillance". 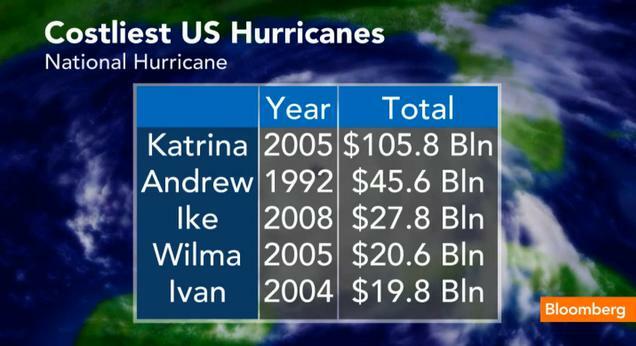 Reading the numbers most damaging hurricane up to date was Katrina with close to $106 bln. costs. The Sandy's costs estimated to be between $15-18 bln for the New York Area. 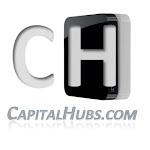 The transportation sector has been widely used as leading indicator for the current economic activity. Last few trading sessions of Dow Jones Transportation Index (DJT) and Dow Jones Industrial average (DJIA) give interesting signs. 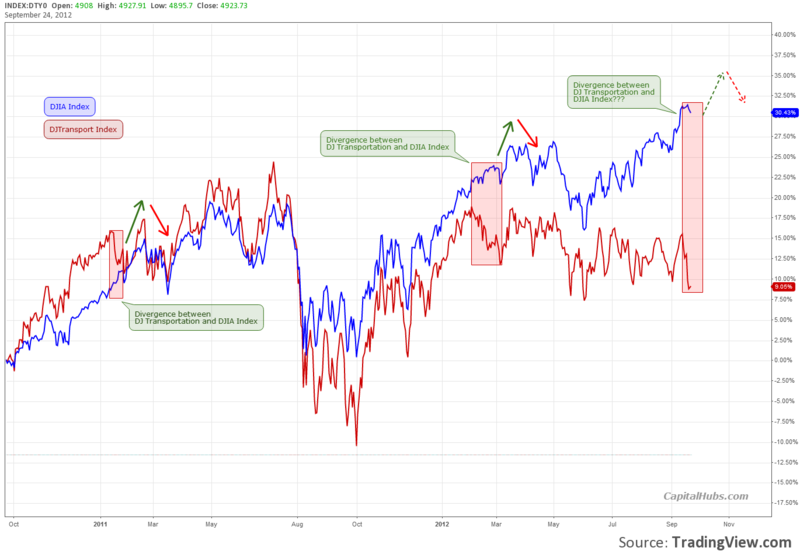 The fact that DJTransportation sector leads DJIA could be used to predict the market ups and downs. As chart shows they are strongly correlated, however there is an interesting relation to be examined – the divergence between both. 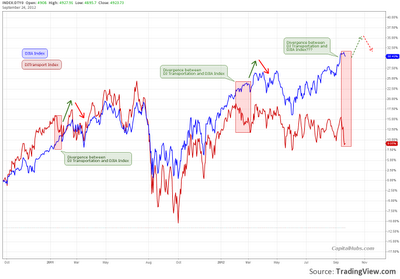 Two times over last two years divergence between transports and Dow industrials has been detected. Every time mentioned pattern appeared the market continued its rally despite Transportation companies drop. If you follow the traditional conception you should consider that divergence as a signal for weak economic activity and should underweight the industrials holdings. However, as chart shows, the divergence periods have been followed by robust rallies (and then sharp declines). This pattern was repeated in January 2011, in February 2012. Last week’s drop of more than 5% for Dow Jones Transportation Index vs. flat performance for Dow there is high probably we are witnessing the same pattern again. 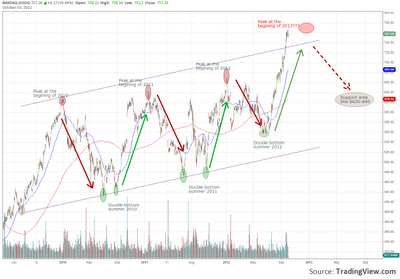 Just in line with the seasonal pattern GOOG has gained some 30% (after double bottom this summer). As seen on the chart last three bull markets started after summer bottoms and we are witnessing this model repeated again in 2012. 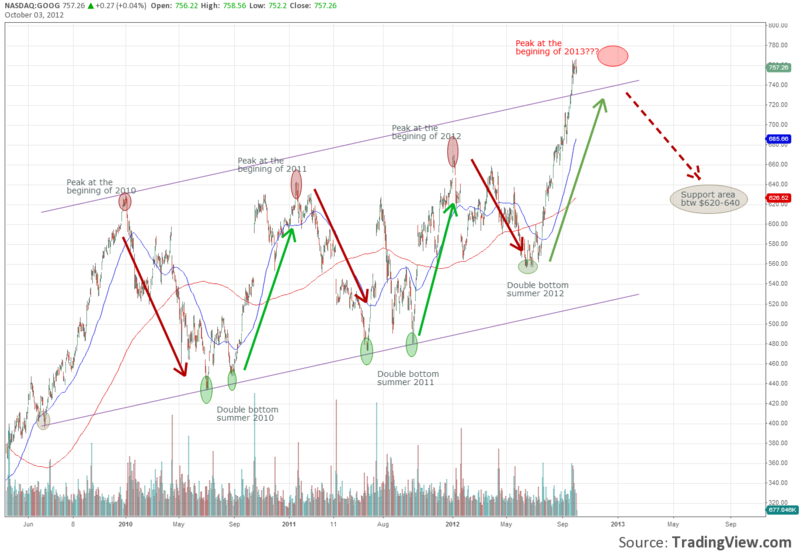 The seasonal pattern suggests that Google should form peak around end of December or early January and then should be followed by correction until next summer. Considering the fact that there are more than 3 months until year end there is room for more gains and probably the resistance line of the parallel channel could be broken. The support area for corrective move usually is some 10-15% under the 200 day moving average, $620-640.